Place the pork, garlic, ginger, chilli jam, shrimp paste and oyster sauce in a bowl and mix well to combine. Cover and refrigerate for 30 minutes. Heat the oil in a large, non-stick frying pan over high heat. Add the pork mixture and cook, breaking up any lumps with a wooden spoon, for 12–15 minutes or until crisp and cooked through. Cook the beans in a large saucepan of salted boiling water for 1 minute or until tender. 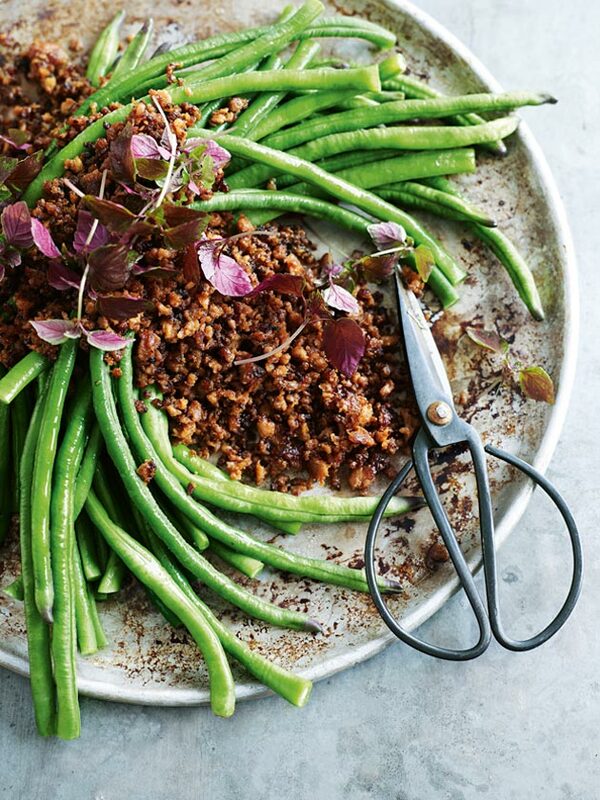 Divide between plates and top with the mince and shiso leaves to serve. Serves 4.